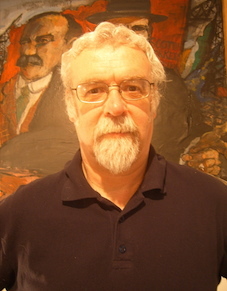 David Broder, now a member of the editorial board of Historical Materialism, contibruted the Global Commune* events organised in Edinburgh by the RCN in 2010. 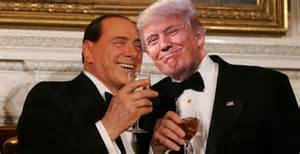 David now lives in Italy and has written the following article about how socialists should relate to Trump, after the dismal experience of the Left’s response in Italy to the rise and fall of Silvio Berlusconi. We would like to thank David and Bhaskar Sunkhara, editor of the US magazine, Jacobin, for permission to post this article, which is can also be found in the current issue 24 of Jacobin. Just months after the left seemed poised for a historic breakthrough, a shock national vote brought a dangerous reactionary to power. Smashing open the old party of the Right, the billionaire tycoon’s populism surfed a wave of anger against the corrupt elite that had long controlled the political center. Making government the stage for a permanent public performance, this curiously wealthy popular champion radically reshaped the country’s political life. WHAT DOES TRUMP’S VICTORY SIGNIFY? 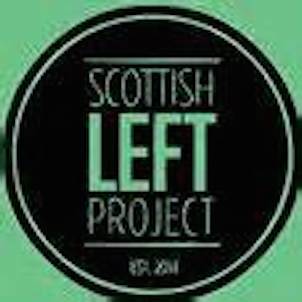 “An even greater leap into fantasy land is the belief that Brexit will provide a progressive example to other member states wanting to break away from the EU…. The first and unfortunately well-known non-UK person to celebrate Brexit was none other than the Right populist US Presidential hopeful, Donald Trump. With typical crassness he chose his new golf course at Turnberry in Scotland to declare his solidarity with Brexit… Another presidential hopeful, Marine Le Pen, of the French Far Right National Front, was the first significant European politician to proclaim her solidarity with Brexit. 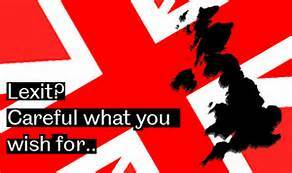 AN OPEN LETTER TO THOSE LEXITERS* OPPOSED TO A SECOND EU REFERENDUM, BUT TOO NERVOUS TO CALL A DEMO FOR A ‘FREE UK’ TO IMMEDIATELY BREAK WITH THE EU, WORRIED WHO MIGHT TURN UP! June 24th hasn’t quite panned out as you Lexiters claimed it would. 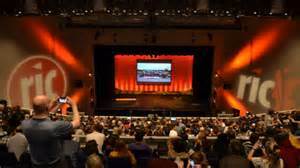 All those workers “justified” in supporting Brexit have not followed up their crushing victory over Cameron by taking to the streets or striking against the Tories’ austerity drive; nor does a Jeremy Corbyn led Labour Party look particularly likely to replace the Tories in any immediate general election.